Diddy — a.k.a. P. Diddy, a.k.a. Puff Daddy, a.k.a. Sean Combs — is the richest artist in hip-hop this year according to a just-released Forbes report that puts the rapper’s net worth at $820 million. 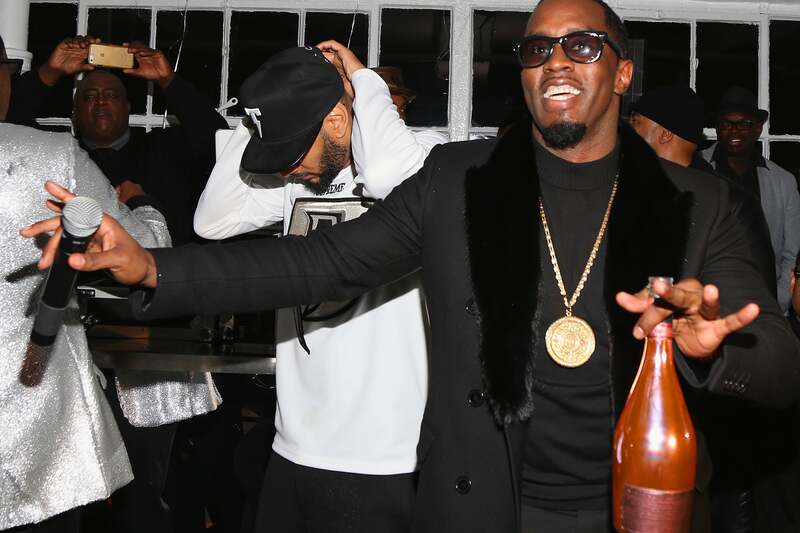 Diddy has six albums under his belt, the most recent being 2015’s MMM, but his income doesn’t just come from his music: He’s also appeared in a number of films including 2014’s Muppets Most Wanted and 2010’s Get Him to the Greek, has a deal with vodka company Ciroc, and a stake in the Revolt TV network. Following Diddy is Jay Z in the No. 2 spot with a net worth of $810 million. Along with his music-related income, Jay Z also has a number of business ventures including streaming service Tidal, champagne brand Armand de Brignac, and entertainment company Roc Nation. Dr. Dre and Birdman come in at the No. 3 and No. 4 spots, respectively. Drake is at No. 5. See the full list, complete with net worths, over at Forbes.